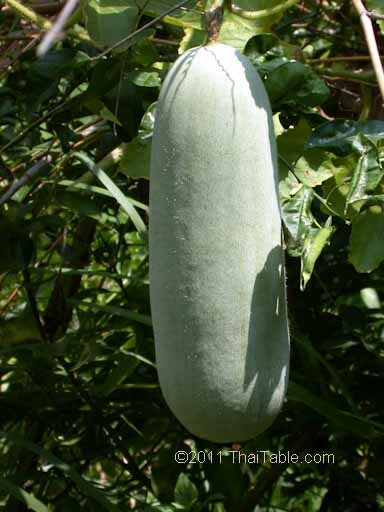 Winter Melon has a hard green and white shell and white flesh with seeds when ripe. You can spot a really ripe one by the white powder on the outside. Most stores sell them pre-cut in a plastic bag because a whole melon is really large. The unripe one is smaller, about a foot long, with hairy green skin.